During the outset of the Viking Age, the Viking axe was essentially used as a daily agricultural tool. 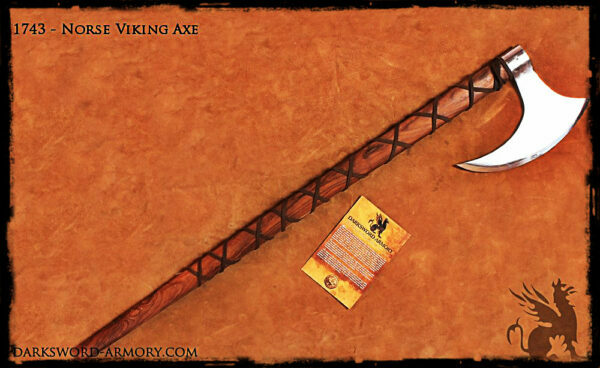 As the Migration age of the Viking people developed during the 9th C., so did that development of the Viking sword. 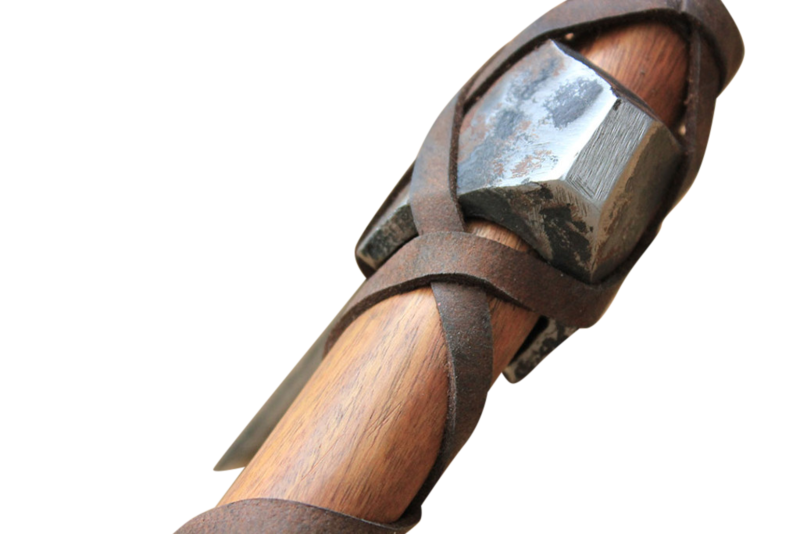 The common masses however used readily available tools that were simple, yet powerful. 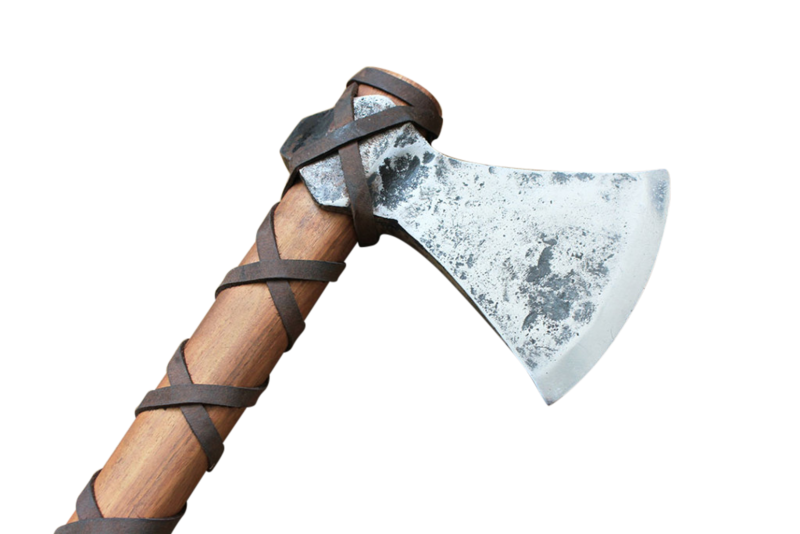 While used consistently for daily activities, the Viking axe also proved to be a devastating weapon in hand-to-hand combat. 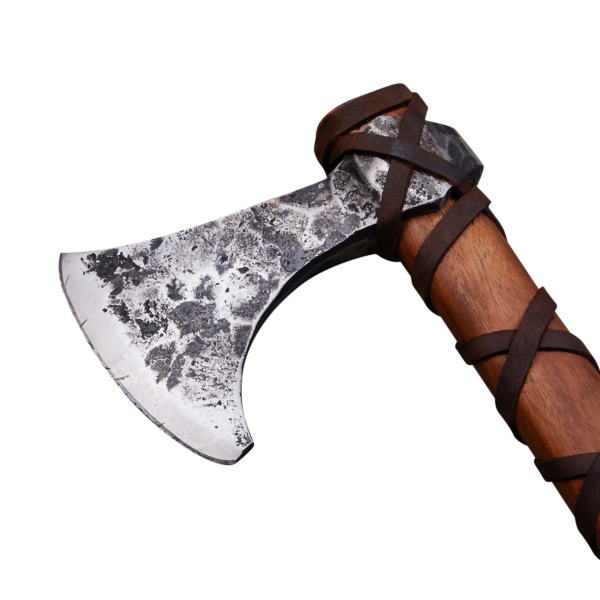 While the geometry of the viking Axe changed throughout the Viking Axe, this was the most commonly used Viking axe during the early part of the Migration Age, namely the 9th C. Hand Forged to look and feel like the original, the Viking axe’s character is preserved by the traditional hammer marks and criss cross leather pattern. 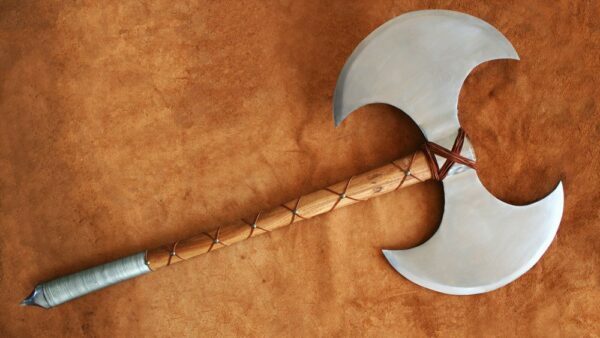 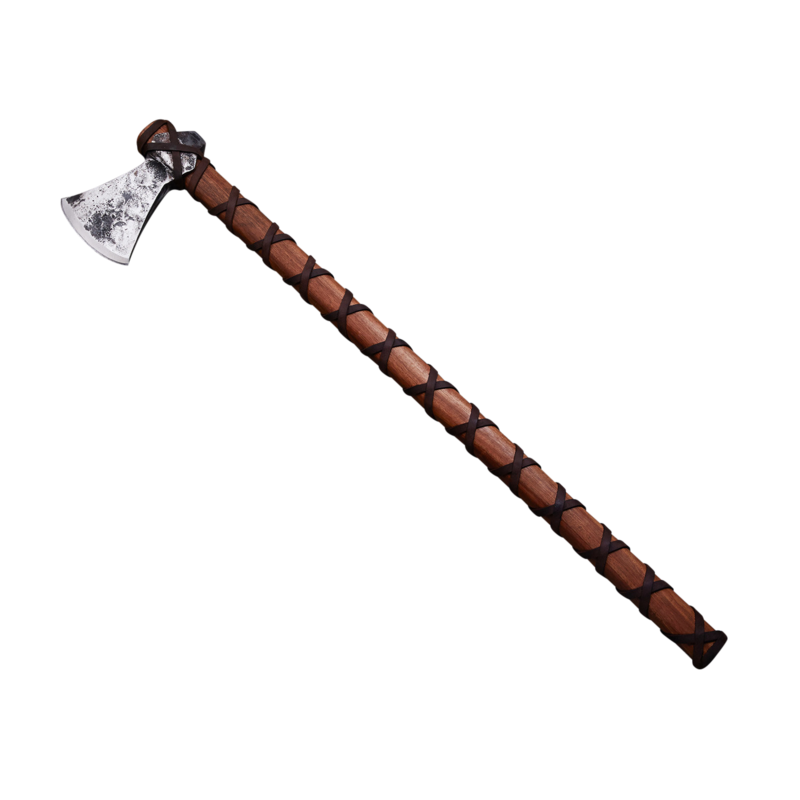 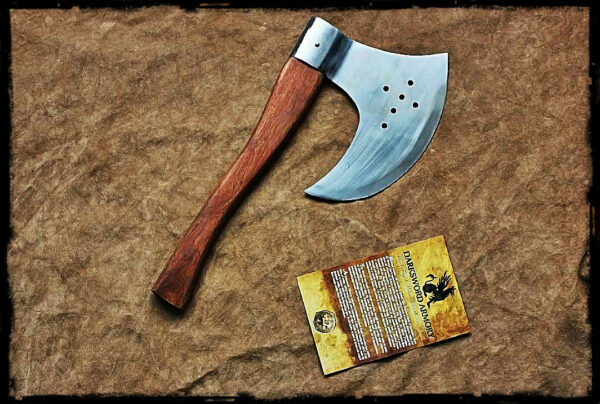 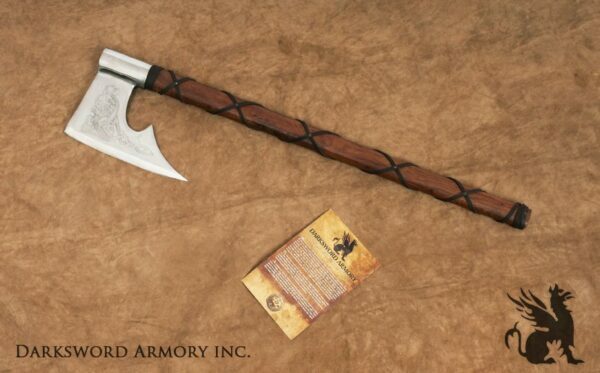 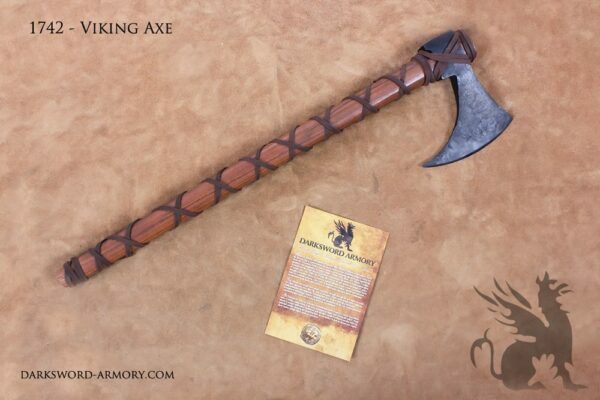 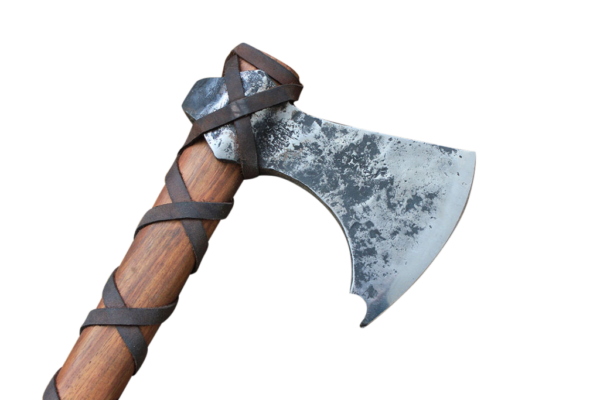 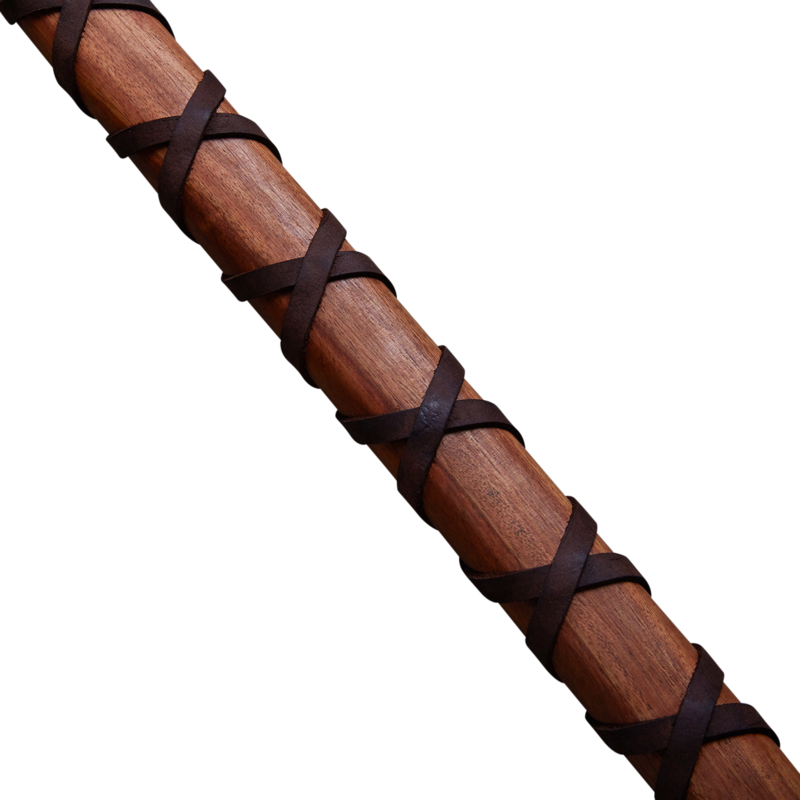 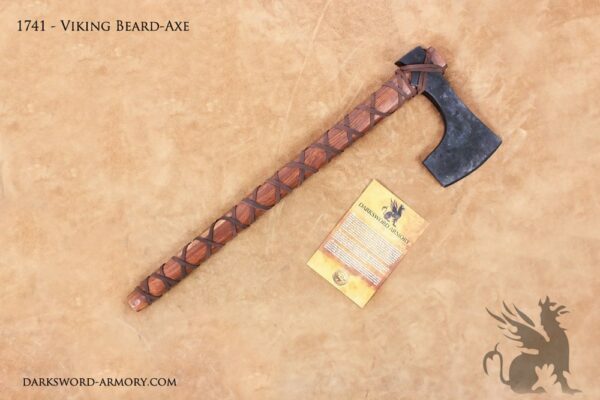 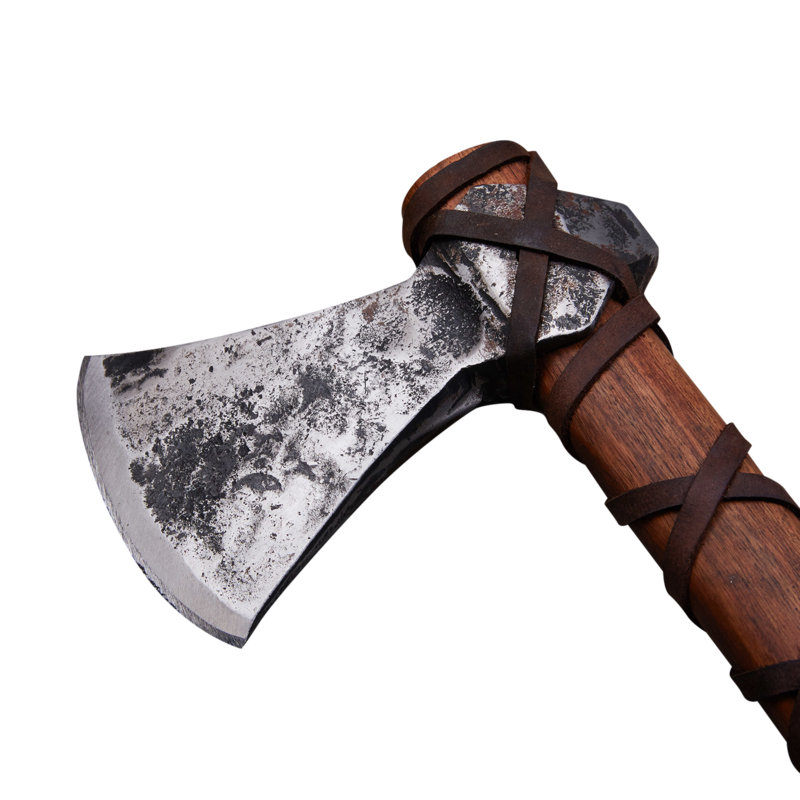 This axe is an absolute must-have for Viking enthusiasts.